In most cases, victims from an accident (especially a motorcycle crash) are transported to a nearby emergency room. 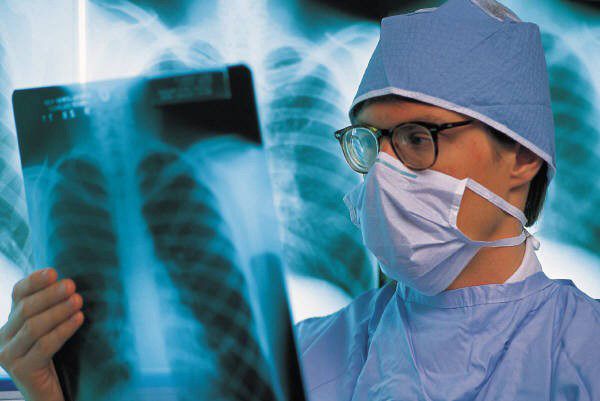 At the ER, x-rays are usually taken, maybe other diagnostics and eventually a person is released and told to follow up with a physician or return if symptoms increase. Afterwards, finding a doctor’s office who accepts insurance or an “accident” case may sometimes be difficult, and in some cases, even risky. Absent a specific referral from a healthcare provider, you should not find your doctor by accident, for concerns of your health; and second, for “documenting” your injury claim. One goal is to find a physician having an office reasonably close to either your residence or work address. Depending on your injuries, the doctor may determine you need a course of physical therapy, sometimes on the frequency of three times per week for the first month, then decreasing as your condition improves, for a period of up to three to six months. Having a doctor’s office reasonably close by improves your chances of complying with his or her treatment plan, doing all things necessary and best to treat your injuries. A second goal is to find a physician nearby having excellent credentials, qualifications and board certification, who also is respected by the medical, insurance and legal community, also known to have credibility with juries. The most common type of physicians seen by crash victims including a chiropractor, neurologist, orthopedic or even surgeons in some cases. Not only for your health, but also for your legal claim, you want a physician who if called to the witness stand in a courtroom, is properly licensed, has impressive credentials. A third goal is to find a doctor who is also willing to accept either your insurance; or, in the worst case scenario, is willing to wait for payment from the proceeds of your settlement from the bad driver who caused the crash, which can sometimes be months down the road, or longer, depending on your condition and other factors. Often times, we meet clients who mention they called their primary care physician after the ER visit, only to learn the doctor or practice would not “get involved” in accident claims, or would not accept such insurance. Fortunately, there are some physicians in the community who understand the needs of crash victims and are willing to work with them, also willing to accept certain kinds of insurance, sometimes willing to wait for the patient’s injury claim settles; and, sometimes willing to negotiate your account balance at the end of the case. Equally important as a thorough examination and accurate diagnosis and treatment plan, you want a doctor who has a good bedside manner. You want a physician who is a good listener, who hears all of your complaints to each part of your body, takes them seriously, orders the proper therapy or further diagnostic testing, and is not too busy to give you the time of day; and, doesn’t have other problems that would interfere with providing you the best care. Importantly, your physician must also “document” your injuries and be willing to testify either at deposition or trial, if necessary. Someone who is not pre-disposed against persons standing up for their rights and asking for compensation for their injuries. In other words, you want a physician who is willing to go to bat for you against the insurance companies and their positions if necessary. Insurance companies and their doctors may raise questions as to whether your complaint is solely as a result of a pre-existing condition, arthritis or whether it relates to some other trauma that happened in your life. On this note, you want a physician who understands the importance of taking a complete prior medical history, who also documents your injuries caused by the subject accident, who is willing to go the distance with you, even through litigation if your case or claim does not settle beforehand. While the above factors are not exhaustive, they are the biggest factors to discuss with your attorney, family or friends when deciding your physician to examine and treat your injuries. Going about this decision alone, without the assistance of a professional, can be risky. Over the years, I have seen some unfortunate situations where accident victims did not take this question seriously, sought examination and treatment with the wrong doctor; and, had considerable problems later. I have seen cases where the accident victim has suffered from medical malpractice; and likewise, have seen cases where the doctor went out of his way to blame the injuries on other trauma or arthritis; would not diagnose the injuries as permanent, believing the patient is better after the crash, after having had the benefit of his or her care, having no permanency or impairment. Overall, you want a physician who is good for you medically and legally, to equip your lawyer with the information obtain the maximum recovery, for providing you the compensation you deserve. If you are the unfortunate victim of a motorcycle crash and if you are looking for a doctor to treat your injuries, it may be best to consult with an attorney who has the experience to give you the best options in this regard, so you have the best physician possible for your injuries and for your legal claim, to maximize your recovery! Attorney Brad Souders is with Bradley D. Souders, P.A, having a principal office in Tampa. The law firm concentrates on representing bikers involved in accidents. Brad has been a biker most of his life and he practices in the area of personal injury, civil trial and wrongful death, for almost twenty-five years now. Brad may be reached at 1(866)HOGLAW1 or by email at brad@hoglaw1.com.. Need help after hours? Call Brad on his cell (813) 220-7767. Free initial consultation. If no recovery, no fees or costs.